Website for advertising a Photoshop plugin. 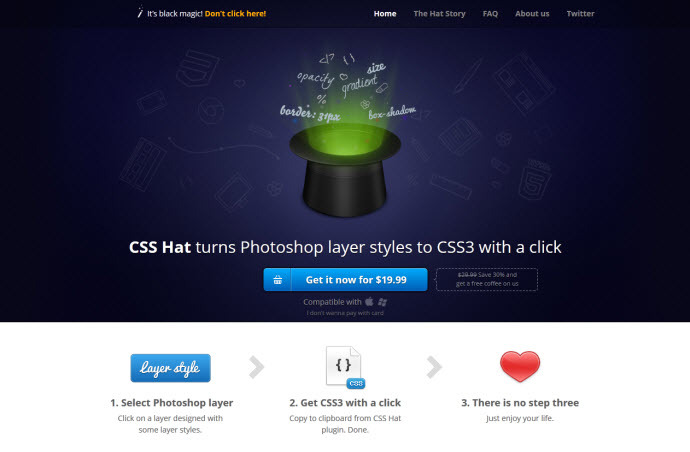 CSS Hat is a plugin that converts Photoshop layer styles to CSS3. 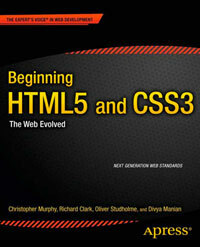 The website is built with some of the HTML5 elements such as nav, section and footer. There is a section element with an id of “header” which screams out for a header element to be used instead. Some of the section elements don’t have headings which wouldn’t please the HTML5 Outliner and therefore shouldn’t be sections at all. The navigation in the footer probably shouldn’t be contained within another nav element as it is not the main navigation. Surely sections are allowed to have headings? Argh! I left out the word “don’t” which of course means the exact opposite of what I wrote. Thanks Jason, fixed.